Is the Pouf Here to Stay? As I look at the changing colors outside, I would definitely say fall is here. Don’t you just love the way the sun shines a little differently this time of year, and every morning brings with it a new landscape? Having such a gorgeous weekend, I was able to finally get my front door painted (more on that later this week) and I started to do some fall decorating. 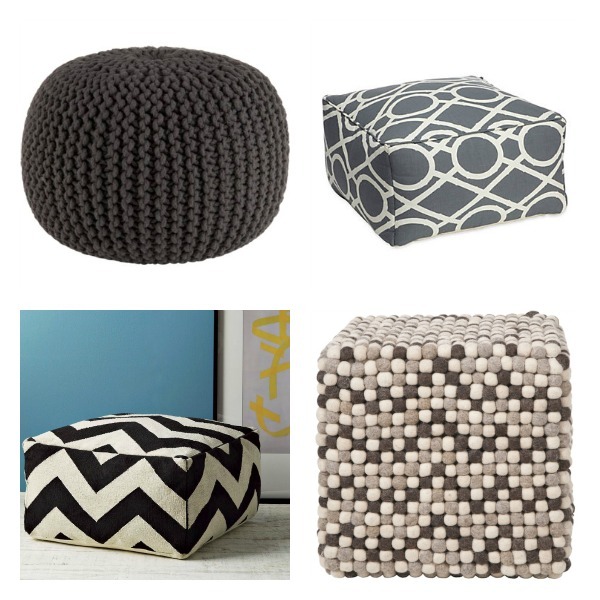 Although my focus was on the exterior spaces of our home, I couldn’t help but notice one fall decor item in particular popping up all over- the POUF. 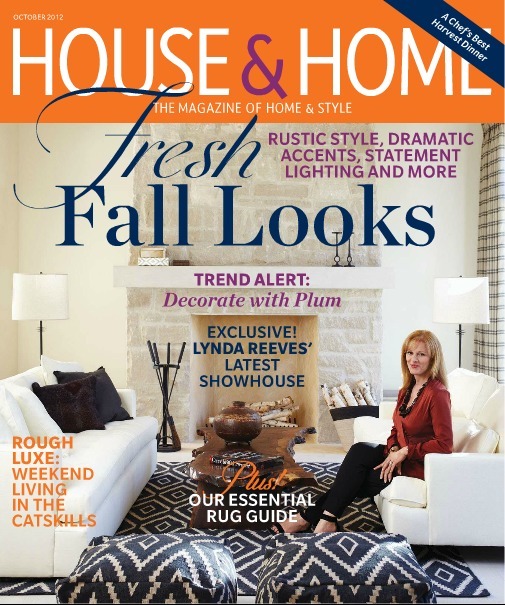 Have you seen October’s issue of Canadian House & Home magazine? The living room on the cover is from Linda Reeves’ latest showhouse, and I just adore the neutral palette and subtle fall decorating. Notice the poufs that lead your eye into the room? The pattern and texture they bring to the space is gorgeous. Although poufs have been around for a while, I’m finding the choices of shape, size and fabric have evolved. 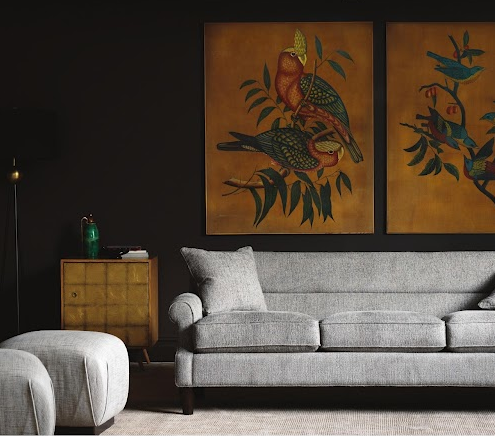 What once was limited to a Moroccan or bohemian look, has now been adopted by almost every style. Dwell Studio has created a pouf-styled ottoman, which is playful, yet sophisticated enough for a more formal living room. More and more decor and furniture manufacturers seem to be jumping on board, which makes me wonder if poufs are here to stay. I’m going out on a limb and saying they are. Not only do poufs provide extra seating or a side table in a pinch, they are easy to move from room to room as the need arises. Poufs can also be chosen to suit almost anyone’s personality, from bold and playful to structured and subtle. It seems as though poufs are a great combination of form and function. I’ve put together a collage of some of my favorite options for fall. What are your thoughts on the pouf? Is it something you’ve already done and have moved on or are you just starting to embrace it? I’d love to know! Wanting to know who won the beautiful burlap coasters from Divine NY? I announced it here. Also, there’s still time to enter for your chance to win a Customized Invitation from Brooklyn Design Studio or the “Refresh My Nest” prize pack from Satori valued at over $200! Come back tomorrow to find out Day 2’s winner! No, I didn’t see the all star challenge. Were the orange poufs fabulous? So many great options… yes I think it will be around for awhile… it is such versatile seating. And a great way to add a pop texture and color! I think I’ll be adding some to our basement media room for versatility. Thanks for popping by! I love poufs. They are so stylish! My favorite would have to be from Dwell Studio. I am a fan of the poufs! I haven’t added any yet, but I think they would make a great addition to most rooms, especially if you have kids.